Victims of Communism, why should Americans care? In today’s America, the Victims of Communism seem to have only sporadic attention, primarily from conservative groups and the refugees themselves. Yet, without the American population at large getting interested, informed, and involved in condemning the atrocities of over 100,000,000 (one hundred million) victims that the various Communist systems around the world have been killing in 94 years since the establishment of the first Communist dictatorship in Russia, there will neither be appropriate honoring of those civilians’ deaths, nor a clear understanding (and therefore proper appreciation) of what the rights and responsibilities of the American constitutional republican freedoms mean for its citizens. In the long run, whether by violent or gradual overthrow, the American society itself will live the Communist style dictatorships, simply because the citizens didn’t know, were not prepared, and didn’t act in support of their own freedoms. In 2010 I wrote my Master’s thesis on this subject matter, which was published in 2011 under the title Victims of Communism and Their Persecutors. As a political refugee myself, I have seen with my own eyes the Communist dictatorship abuses, including the permanent scars on my father’s legs, left from his imprisonment in the Communist prisons of Romania. Sentenced to 12 years of prison by the Communist dictatorship because he helped during famine years with food some families of farmers who had been imprisoned in the 1950’s, because they had opposed the stealing of their lands and farm animals by the Communist dictatorship, he was arrested, beaten, tortured, imprisoned, and after release, he was given an “enemy of the State” label that followed him wherever he tried to seek work in Romania. Yet, he managed to survive, and raise a wonderful family, with children who have called America home since the 1980’s. He kept telling me over the years that notwithstanding his ordeal, he was among the “lucky” ones, because he made it out of the Communist underground prisons alive. Most of his colleagues in suffering didn’t however. In the United States Dr. Teodor Gherasim wrote two seminal books, easily found on Amazon and at other books stores’ shelves, called Astride 2 Worlds and Ancient Dictators, Modern Tyrants, in which he exposed the danger of societies, when they moved from middle-class based societies, where the majority society benefits from the country’s economy and freedoms, to oligarchic societies, where only a few benefit from basic rights and commodities. In the latter case, whether called royals, Communist Party nomenclature, or corporations, it leads the majority population in a state of virtual serfdom, while the elites lavish in tremendous luxury and power. With tremendous power, comes tremendous abuse, and this is why knowing about, condemning, and being vigilant about Communist atrocities, may help keep America free. Various attempts by the US government to condemn Communist crimes have been made throughout the years, from the 1950’s US support of Nationalist China, and standing by the West Germans’ when the Russians built the Berlin Wall 1 to the 2011 support of Vietnamese dissidents, including a church pastor and land activists, who were summarily convicted in a one day trial to up to 8 years by the Communist government, for “attempting to overthrow” the Communist dictatorship, simply because they criticized the Communist government’s power abuses on the civilian population. My book, Victims of Communism and Their Persecutors 7 attempts to analyze from a mediator's, facilitator's and negotiator's perspective, the Communist crimes, in terms of emotions, intentions, actions and reasons, with both the victims' and the perpetrators' testimony, of what is commonly called in Europe the Red Holocaust, with particular focus on Romania. It goes to the sources of intergroup conflicts, its cognitive factors, its implications for understanding and will make some recommendations for compensatory resolutions. It does that by presenting an overview of several micro and macro-level approaches to understanding the origins, the nature and the dynamics of this conflict, as well as, of possible healing. It details several psychological, social, economical, political, systematic, and cultural perspectives that have led to and are still making innocent victims, from Cuba to China, in the name of Marxism and of the Communist Party. In fact, in all religions of the East and West, with the exception of suicidal cults, the sanctity of all human life is universally recognized as priceless, since time immemorial. It is when false paradigms of economical, racial, ethnic, religious, military, geographical, gender or other social hierarchies are made, that some human beings decide to eliminate other human beings. It is the intention of the author of the Victims of Communism and Their Persecutors, to inform its readers on the greatest unsolved problem of the 20th century and one of the most repugnant episodes in the history of mankind, and to suggest conferences on this topic, exhibits, research, books, courses, and other activities that could fulfill this imperious need. This in turn will create an American population acutely aware of its freedoms and ready to get involved in avoiding that any dictatorships may come to the United States. Most of the ten guides seem relatively innocuous; they talk about a new universal language, using reasons, fair laws, just courts, abandoning war, prizing truth, etc. But the first two messages are disturbing. 1: "Maintain humanity under 500,000,000 in perpetual balance with nature." While this would certainly take a lot of pressure off of the Earth's resources and go a long way towards solving climate change and other environmental problems, it would cause economic chaos and massive unemployment unless it were implemented over a long interval. But the greatest danger is how it would be phased in. 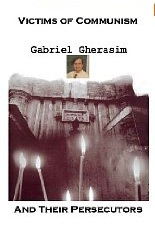 Gabriel Gherasim suggests in the above essay that it would be accomplished by exterminating about 6.5 billion people in a massive genocide. It could also be done by reducing the birth rate to one child per couple. Over many generations the present 7 billion world population would be reduced to a half billion. But if a system like Communist China with an enforced one child policy for urban dwellers and 2 children for rural areas is incredibly repressive because it forces women to have abortions against their will. It might be possible to persuade couples to have only one child through less intrusive means, but the system would still be subject to horrendous abuses. 2: " Guide reproduction wisely — improving fitness and diversity." This sounds innocent enough. Most people value fitness and consider diversity to be a positive factor. However, it sounds like a reimposition of eugenics policies that were popular in the first half of the 20th century and led to tens or hundreds of thousands of forced sterilizations of people who were considered undesirable. It was a major factor that led to the Nazi Genocide of twelve million persons during the 1930's and early 1940's.